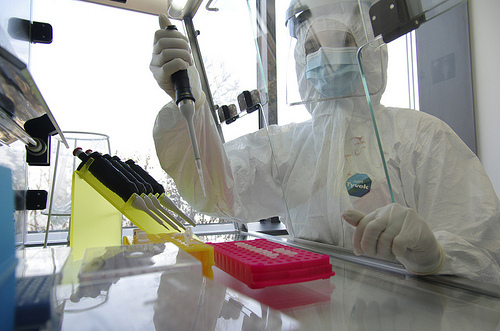 Some key ancient human migrations unlock the mystery of how today's modern Europeans arose. The actual picture of human population origins may never have been as simple as traditional theories might have suggested. At least for Europeans, recent genetic studies seem to be hinting at mixtures and interactions resulting from multiple population migrations that formed the foundations of the modern populations we see today. 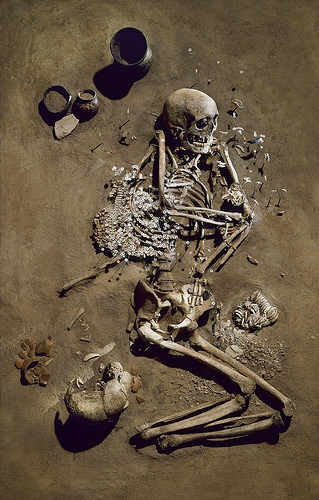 To this end, international teams from a number of educational and research institutions worldwide have produced two major studies that show, through the analyses of isotopes and genetic material from archaeological sites in Germany, genetic changes that provide insight into human migration patterns during the transition from foraging to farming in Central Europe, including the persistence of hunting and gathering as a lifestyle even after farming was established. In the first study, Guido Brandt and his colleagues researched ancient mitochondrial DNA of 364 individuals from nine different cultures that populated the Mittelelbe-Saale region of Germany over 4,000 years, spanning the period from about 5,500 to 1,550 BCE. This was during the time when Europeans were thought to be transitioning from hunting and gathering to farming and metallurgy. Their analysis suggested that, initially, Mesolithic hunter-gatherers were replaced by Neolithic farmers for about 2,500 years after the advent of agriculture in the region. These new farmers were introduced from the Near East, Anatolia and the Caucasus. This was then followed by an exchange of genetic material with hunter-gatherers from Scandinavia. The research also suggested two more subsequent population events during the Late Neolithic, when the genomes of a people with farming lifestyles were introduced from the east and west. Based on this genetic mix during the late Neolithic, they found that the population resulting from these successive migrations and associated genetic exchanges were the likely ancestors of the current modern European population. 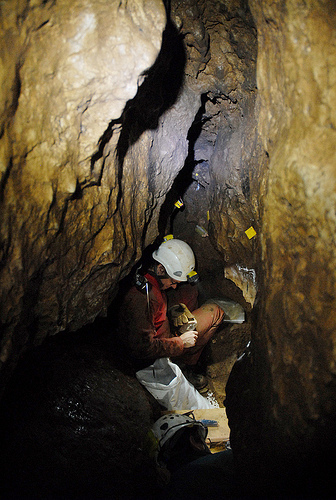 In the second study, Ruth Bollongino and colleagues sequenced the mitochondrial genomes of 25 individuals from the ancient Blätterhöhle archaeological site in Hagen, Germany, and also analyzed the sulfur, nitrogen and carbon isotopes contained in the specimens’ bones and teeth. The results suggest that, over time, three distinct populations inhabited the region: one initial population of hunter-gatherers and two later populations -- one consisting of Neolithic farmers that were likely new migrants to the region, and another consisting of Neolithic hunter-gatherers that subsisted primarily on freshwater fish. The latter two cultures apparently lived side-by-side for about 2,000 years with little or no interbreeding, suggesting that hunter-gatherer cultures persisted alongside farming cultures for 2,000 years after the introduction of agriculture to the region. The details of the study reports have been published in the journal Science, a publication of the American Association for the Advancement of Science. Source: Adapted and edited from a Science magazine press release. Article #18: "Ancient DNA Reveals Key Stages in the Formation of Central European Mitochondrial Genetic Diversity," by G. Brandt; C. Roth; A. Szécsényi-Nagy; S. Karimnia; S. Möller-Rieker; N. Nicklisch; K.W. Alt at Johannes Gutenberg University of Mainz in Mainz, Germany; W. Haak; A. Cooper at University of Adelaide in Adelaide, SA, Australia; C.J. Adler at University of Sydney in Sydney, NSW, Australia; H. Meller; R. Ganslmeier; S. Friederich; V. Dresely at State Office for Heritage Management and Archaeology Saxony-Anhalt and Heritage Museum in Halle, Germany; J.K. Pickrell; D. Reich at Harvard Medical School in Boston, MA; F. Sirocko at Johannes Gutenberg University of Mainz in Mainz, Germany; The Genographic Consortium. Article #23: "2000 Years of Parallel Societies in Stone Age Central Europe," by R. Bollongino; C. Sell; Z. Fajkošová; A. Powell; J. Burger at Johannes Gutenberg University in Mainz, Germany; O. Nehlich; M.P. Richards at University of British Columbia in Vancouver, BC, Canada; O. Nehlich; M.P. Richards at Max-Planck Institute for Evolutionary Anthropology in Leipzig, Germany; M.P. Richards at University of Durham in Durham, UK; J. Orschiedt at Free University Berlin in Berlin, Germany; M.G. Thomas at University College London in London, UK.